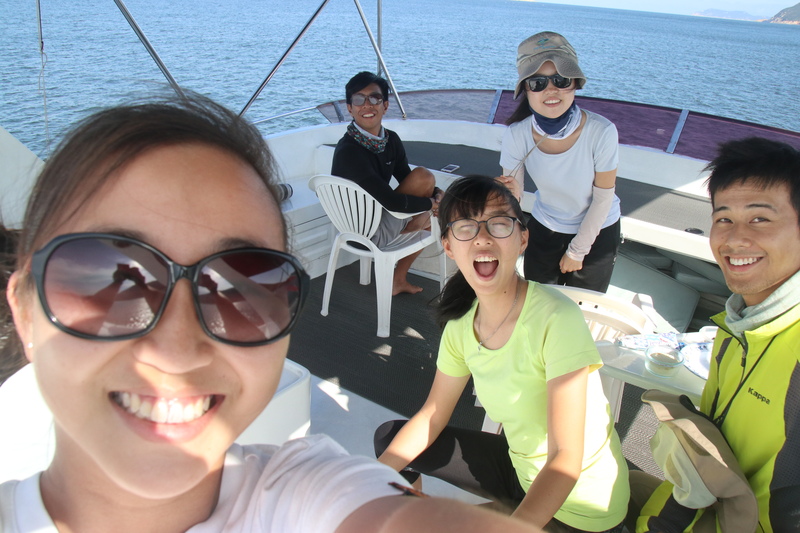 These 2 weeks, the weather was fine and so I got a chance to go on a boat trip with the research team. The trip in the 1st week was fun and tiring. Not because of the sunshine nor we barely saw any dolphins but we did a lot of exercises. I learnt a few yoga poses from Heyman and some stretching exercise from Robin. 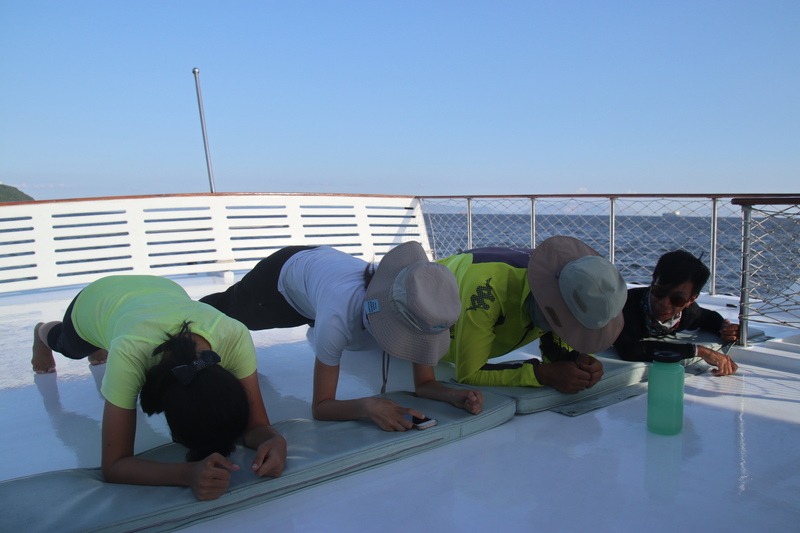 We also did planking together during our return journey. I felt so tired and also very healthy after the exercises. We also did not see any dolphins in my trip in the second week. We were in North Lantau. The wind and the wave was so big that the ship was swinging a lot that I almost fell down even when I was sitting on a chair. The wind became gentler in the afternoon when we were in Northeast Lantau. There, I saw many boats and planes but no dolphins. As I cannot see any dolphins and take pictures with them, I took dozens of pictures with ships and planes. Well, it showed how busy Hong Kong is as an entrepot. Apart from the boat trips, I also enjoyed the work here in the office. I was given tasks in poster design, e-newsletter layout etc. I enjoyed doing that very much as I mentioned I wanted to learn to design through Photoshop and this could be a very good opportunity for me to familiarise myself with the software. I also found some new webs that can help in the promotions. Technologies nowadays are just soooo convenient and helpful.